When they will remove a Tomb Riader really? Rise of the Tomb Raider Tomb Raider is not, it is a blatant copy of "Uncharted" series. I want a Tomb Raider as classic, investigate, puzzles, figuring out doors, keys, all kinds of traps, many animals such enemies, esquibar bolar rolling, soils spiked, spiked walls. I hope the next game is not equal or similar to Uncharted. Besides all this, missing 4 new countries not only focus on one and peeling off all the time with humans and Uncharted. Or in Uncharted similar to Tomb Raider? To be fair, how many games are like games released in 1995? Apart from most Mario games maybe. Yes let's go back to the block system that got old by the 4th game. That will solve all our problems. Tomb Raider 2013 and Rise of the Tomb Raider 2015 is very similar to Uncharted. We do not ask cube systems with modern technology, ask essence of the game. A really Tomb Raider. Uncharted in it's very nature is a copy of what TR did in the 90's and so much of what it is great about it is because it took those elements from TR. I think that part of the problem is CD in the last couple of games have really pushed TR way more towards a straight 3PS title rather than an adventure platformer. Perhaps this move has been to dodge UC. I think some Indiana Jones run away from boulders and other ancient traps are something I would love to see back so in that way I agree with you Metaconta. Your screengrab showing a dark horizon is quite interesting as I feel that was one of the things that gave the original TR such a great feeling of suspense. What is needed is a new Tomb Raider recover the essence of the first. That's what you've got but you just have to wait a bit. Classic Lara as a fully formed character. CD have chosen that reboot Lara will start from the very beginning. If you love the old games so much you can still go and play them you know. I've just bought them all on PS1 and PS2. Even if Lara's personality was adjusted there are so many people everywhere ands I miss a feeling of isolation and deep tombs where you never know what traps or monsters could be lurking. Much as the moving spike walls or boulders were quite nasty at times I kind of miss that surprise element. I'd like to see a feeling of finding somewhere nobody has been in ages but sometimes that seems to get lost in Lara fighting the Solarii or Trinity and exploration ends up a little sidelined. This new games are leading the saga and the character in a very weird way to say the least... Lara now looks like more as a cold blood assassin ninja, CIA Agent, then a professional Arquelologist looking for ancient misterys and exploring haunted dark places where nobody walked for centurys or even millenia! And where she is forced to fight times to times certain wild animals. And on top of that, we now have a "noob" version of a younger Lara , where she need's to continue to learn languages and other stuff, and where she do not realize how she like so much a braid instead of Ponytails, and how cool it's for her to be a dual pistols user... Also what happened to the tradicional musical theme that was a small Oboe solo and was used in all Tomb rider main Themes? and listened also times to times in the middle of the game?! (And terrible sorry for my Horrid English). Last edited by Draconicus; 7th Dec 2016 at 17:33. Yep it no longer feels like Tomb Raider and hasn't for a long time but as in itself l enjoyed playing the game on it's own merit. Agree also. The fact that it's far from what a Tomb Rider must be, i am enjoying very mutch to play it! And if it's tittle was not the actual one but something like "Lara adventures" or something similar, i think i was giving the game a 8/10! IMHO It's mainly calling it as Rise of Tomb Rider that's disturb me i think. I loved the game, having completed it for the first time recently. I hope the next builds on the mechanics here, because it was spot on. I would have to agree though, it was a bit more action-oriented than puzzle solving and mystery hunting. Would have liked just a little more in terms of a larger mystery to be explored, and the nine tombs in this one, while great, were really kind of short. It feels like the game needed at least 1 or 2 massive tombs and then a little more explanation of the Divine Source at the end - two things that could have made the game even better. I played most of the original games. It was nice when the game was quiet, except for a few sound effects that sort of left what was coming next to be a mystery and you were on the edge of your seat wondering what would happen next. But, when you guys started playing the games it wasn't a surprise when it was announced as a reboot. We knew what we were in for before we played the game. There were still puzzles in this game but not in the classic way. For example, in The Path of the Deathless you had to use the trebuchet but in order to use it you had to get it working so figuring that out is considered a puzzle. You had to do things like that throughout the game. There were quite a few tombs, although you didn't get as much of a reward as you did in the first game. 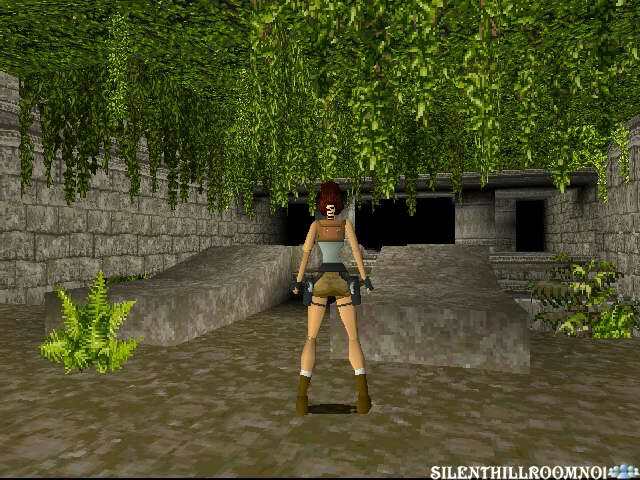 I realize the tombs aren't like they were in the original tomb raider games where you had to solve it in order to advance in the game or to retrieve a precious object you needed. I would rather play a game that has more action and less tombs and puzzle solving than a game that has more tombs and puzzle solving and less action. I think after a while that would be boring. But, we wouldn't need action every second either because that would also be too boring. If you guys are that unhappy with the way the series is progressing you can always message someone who is in charge of making the game and maybe they can consider your idea for the next game. Or, you don't have to play them at all. This isn't meant to sound rude but if you guys are that unhappy with the games I wouldn't waste your money buying them. I feel like there must be a reason why you want to keep buying the new games when they come out. I agree. If the new TR games were exactly how the old ones used to be but with better graphics I think there would be more people complaining that they already knew what to do or they wouldn't pay $60 for a game they've already played years ago. They did announce a while back before the first game came out that this is Lara before she became the Tomb Raider we are familiar with. Each game she seems to level up in her skills and maybe when they've decided that on their last game she may become Lara Croft the Tomb Raider we know. I often miss the sense of uninterrupted gameplay, where I the player used to decide when to save, and cut scenes were entirely skippable. Nobody took control away from me at seemingly random moments. But Hollywood has crept into every series that I played - "Quick Time" events, finishing moves - all the stuff that looks cool at first but easily becomes repetetive and reminds me that I'm not really playing the game, but am also being played. Rise is better in that regard than Tomb Raider 2013, Skyrim or Deus Ex.